Every year people wait to see Inc. Magazine’s “Inc. 5000” list of the fastest growing companies in America. 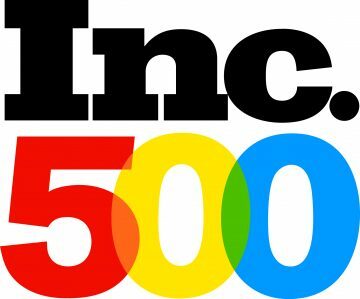 Inc. trims down the list to its Top 500 and releases the famed “Inc. 500” issue for all to see. Omnibuild made it this year (for the first time), coming in at #459 overall and #19 in the construction industry, far and away the largest company (by revenue) to make the construction top 20 list. Over the past three years, Omnibuild grew 832%. “Being mentioned in the Inc. 500 is a hell of an accomplishment, especially for a company of our size. As with the ENR 400 recognition earlier this year, it feels good to get the public pat on the back but the congratulations has to go to each and every member of the Omnibuild family. From the back office to the site teams. Being on the Inc. 500 is a testament not only to hard work, but to the adaptability everyone had in keeping the wheels from falling off during periods of extreme growth. Because it’s new clients, new employees, new processes and new initiatives that go along with everyday work,” said Bassam Tarazi, Director Of Business Strategy. Omnibuild has a large bucket of work under its managerial eye right now, with 20 active job sites all across the eastern seaboard, with the majority of the work going on in New York City including 512 West 22nd Street, the brand new building designed by CookFox Architects. There are some other large announcements coming soon. Stay tuned!